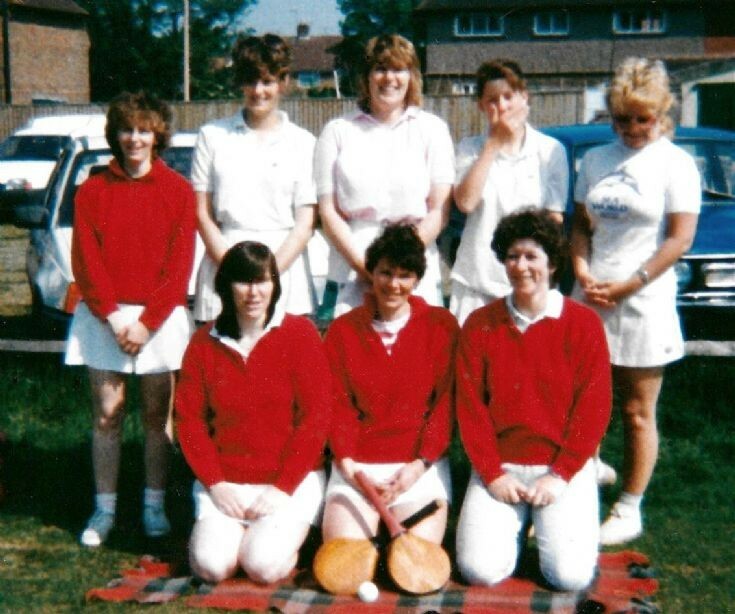 This is Handcross stoolball team and the year has been estimated at 1982. Back row: Karen Brown (now Edwards), Linda Gann, Unknown, Linda Marks, Unknown. Front row: Angela Pateman, Sue Kodytec (née Stenning), Brenda Fraser. Please can anybody add more names?